New Product!!! 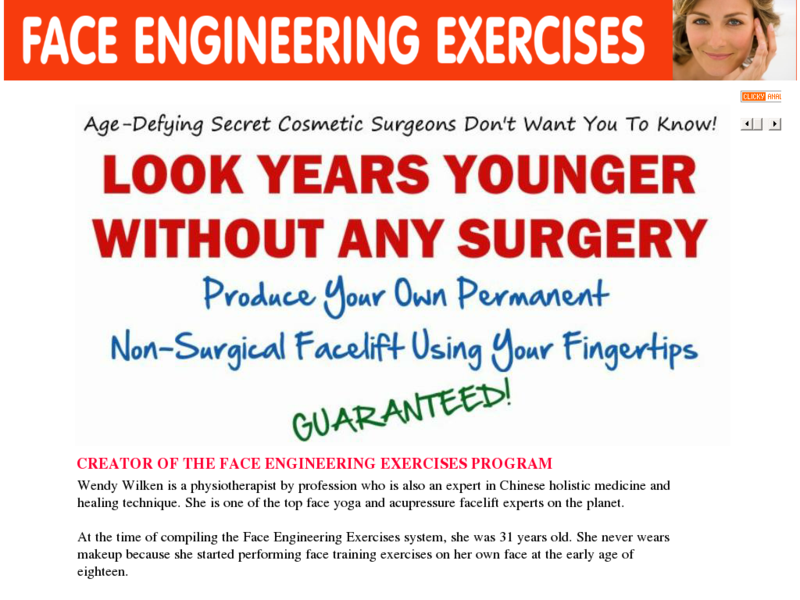 Similar Face Exercise Program To Facelift Without Surgery By Wendy Wilken Where Affiliates Are Raking In 3% Conversions. Expect The Same Success. $1000 Free Bonuses Closes The Deal For You. 50% Comm, High Conversions. This Is Madness!! !